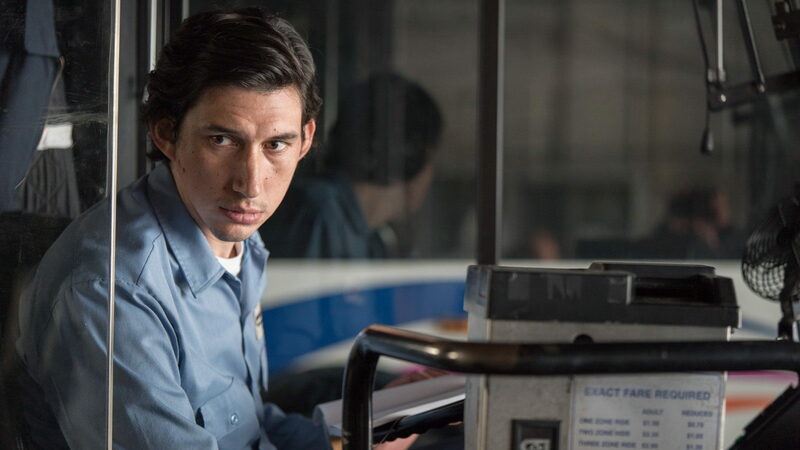 Jim Jarmusch’s PATERSON (one t like the city in New Jersey) is about a bus driver named Paterson (played by Adam Driver) in the New Jersey city of the same name. 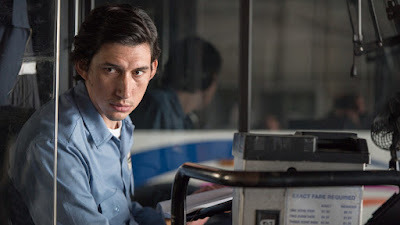 The film follows Paterson as he goes through his routine over the course of a week during which he wakes up goes to work, writes poetry, walks the dog and gets a drink at a local bar. It’s a routine that repeats daily with limited variation. It is a slice of life. The interesting thing is that the film is essentially a kind of Zen meditation. Life happens and cycles and there are a few peaks and valleys but most its life. For some people the film is going to be a tough grind, but if you can go with it you begin to see that there is variation, there are unexpected connections to other people’s lives such as Paterson running into other poets, notions of secret books, the variety of love, and the notion that we all have differing crosses to bear, you'll see that this is more than just the same thing repeated with slight variations. What I love is that the carefully modulated emotional construction of the film makes the small moments that end the film incredibly powerful. The ending effectively reduced me to a blubbering mess and I can’t begin to explain why. If I told you what happened you would think I was mad, but in context what happens is deeply moving. Its as clear a definition of self and of life as we are likely to see this year. I could talk about all sorts of things in regard to the film such as Adam Driver’s stellar performance but I thing saying the film is Jim Jarmusch’s best film is enough. A must see at the New York Film Festival or where ever it plays.